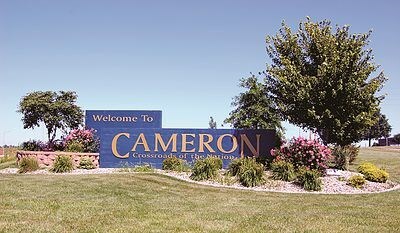 Welcome to Cameron Missouri, located in DeKalb County in beautiful Northwest Missouri. Cameron Missouri is a friendly, thriving, community with a population of about 7,000 situated in Northwest Missouri at the junction of Interstate 35 and U.S. 36 - "The Crossroads of the Nation". Cameron Missouri is located 50 miles north of Kansas City and 35 miles east of St. Joseph, affording residents the advantage of the metropolitan centers as well as the relaxed neighborly atmosphere of a small farming community. Cameron offers a wholesome atmosphere of traditional family values combined with a progressive attitude. We invite you to contact United Country The O'Connor Agency, of Cameron Missouri. We can save you time and money in locating Missouri real estate for sale throughout the counties of DeKalb, Clinton, Caldwell and Daviess counties.